So, you’ve published a book. Congratulations! Now comes the hard part: Marketing. People aren’t going to just stumble on your book. A few might, but if you’re relying on that, you’re building yourself toward some serious disappointment. You need to convince people that your story is worth reading. A book is art, but it’s also a product. Facebook and Twitter are a good place to start, but they’re the obvious choices. They’re the bare minimum. As in, if all you’ve done so far is throw up some tweets and start a fan page, you are not doing enough. Luckily, there are more options in the universe of social media. 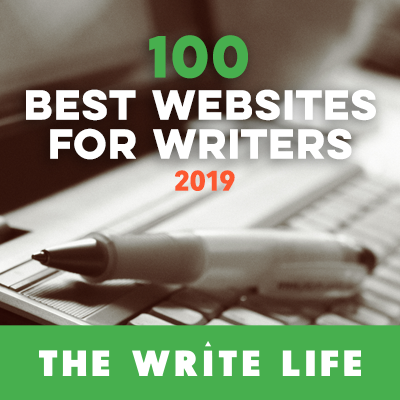 In fact, there are whole websites dedicated solely to cultivating audiences, interacting with readers, commiserating with fellow writers, and generally eliminating the noise of social media to focus solely on books. If you’ve got a book to sell, these sites need to be your next best friends. Over the past several weeks, I’ve broken down the five major social networking sites for books: Shelfari, Goodreads, LibraryThing, weRead and Amazon (yes, they have social networking opportunities too). Be sure to check those posts out! While they all share some similarities, they’re also different enough that each one will offer you a myriad of unique options – and more opportunities to promote yourself. Now, mastering these sites is incredibly important if you’ve self-published, because you’re taking your destiny into your own hands. But even if you traditionally publish a book, it’s still good to be self-sufficient. The publishing industry isn’t exactly booming. And with the advent of (free) social networking options, book publishers are asking more of their writers when it comes to promotion. (This isn’t to say that there aren’t amazing people working in book promotion for publishers, because there are, but you ignore any promotional opportunity at your own risk). So if you’re currently working on your marketing plan, this is my challenge to you: Think of something crazy to sell your book. Something interesting. Something so far outside the box, you can’t even see the box anymore. Then, if you’re feeling bold, share it in the comments here. Because marketing is tough work, and the only way to succeed is to step up your game. So I have made swag or bookmarks for my novels. In addition to my print books. I keep my bookmarks always on me but I’ve also left them along with an autographed book at my appointments where they have waiting rooms. The ones with boring old magazines. You get the waiters to pick up your book for a minute and then there is the staff. Often times they want to finish what they started and go buy your book. Then there’s the whole ebook option on smart phones. With swag they can see that it’s available and buy right away. Can we say impulse buy.